**BUY HERE PAY HERE**. WE HAVE FINANCING FOR EVERYONE. IF YOU ARE CURRENTLY EMPLOYED AND HAVE A DOWN PAYMENT WE HAVE SOLUTIONS..... EVERYBODY RIDES!!!! PLEASE CALL FOR DETAILS 931-762-1164. **CERTIFIED BY CARFAX - ONE OWNER! **, **POWER MOONROOF**, **4x4 - NEVER WORRY ABOUT THE WEATHER! 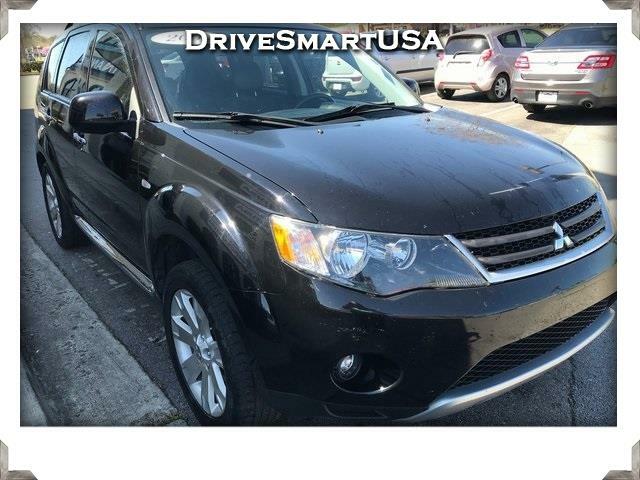 **, NO DEALER DOC FEES, Outlander SE, 4D Sport Utility, 2.4L I4 DOHC MIVEC 16V, CVT with Sportronic, 4WD, Labrador Black Pearl, Black w/Knit Fabric Seat Trim, AM/FM Rockford Fosgate Premium Sound System, SIRIUS Satellite Radio. Priced below KBB Fair Purchase Price! Recent Arrival! Message: Thought you might be interested in this 2009 Mitsubishi Outlander.